In a presentation before the County Commission on Tuesday, Assistant County Manager Kevin Schiller said the money should be put to “more flexible, more creative and more responsive” uses. 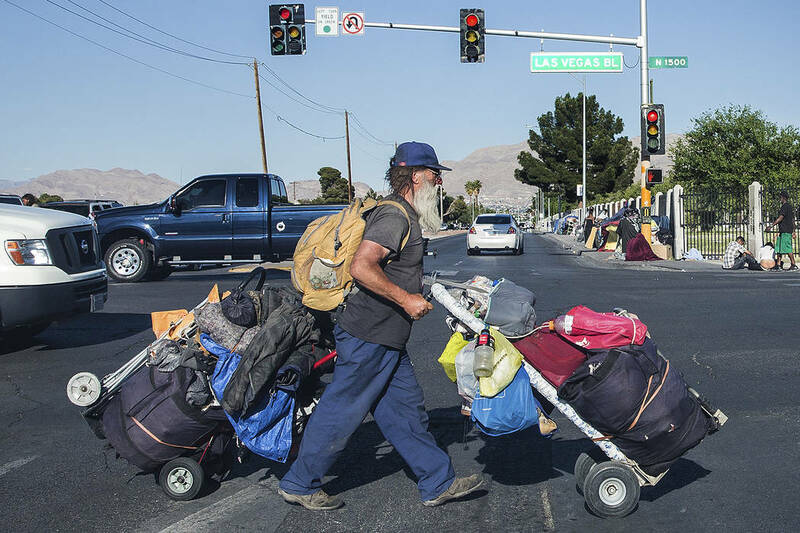 A primary goal, he told commissioners, is preventing those on the brink of homelessness from ending up on the streets by creating a diversion program that combines short-term services and financial assistance. For example, he said, the county could help an individual with one-month rental assistance, a car or house repair or a utility deposit. “(The) investment of that $3,300 to maintain that individual in that place of residence, in their stable housing, well outweighs the longer term investment if they become homeless,” he said. The commissioners voted on Jan. 22 to direct the marijuana money to homelessness programs and initially indicated they favored a “housing-first” strategy to assist the approximately 6,000 homeless people countywide, along with an expansion of case management resources. Chairwoman Marilyn Kirkpatrick, who introduced the plan, was supportive of the new directions outlined in Tuesday’s presentation. She requested that staff continue to provide the commission with monthly updates of milestones and new information as funding begins to flow to the various initiatives. Schiller said the additional revenue will enable the county to build on the roughly $37 million in grants and federal funds it receives to fund a variety of social services and housing programs. Among the greatest needs is to find a solution to aid the 195 families and 91 youths who, on average, are in the Community Queue awaiting housing. To do that, Schiller recommended that the marijuana funds be used to scale up transitional and permanent housing to add more than 1,200 beds, while also securing master leases and developing incentives for affordable housing with developers and landlords. Another possible use for the money would be to establish a “Step Up” program for youths in the juvenile justice system who are often discharged without resources. The new program would mirror the existing program for aging out foster youth care. Commissioner James Gibson said he agreed with the need to focus first on “children and families,” but stressed that the amount of money the county has set aside is “a drop in the bucket” given the scope of the problem. “It’ll be important for us to really focus on bite-sized pieces that we can do something about,” he said, adding that homelessness “is a problem begging for a really intense regional discussion” among cities, nonprofits and the private sector. Commissioner Tick Segerblom agreed that the problem far exceeds the current resources and suggested that funding related to alcohol also could be tapped. Segerblom also endorsed using some funds for housing, both to secure existing affordable units and to address the long-term solution of building more of them. Contact Briana Erickson at berickson@reviewjournal.com or 702-387-5244. Follow @brianaerick on Twitter.